Stand Up 4 Refugees is a series of special, star-studded, one off comedy shows in aid of Help Refugees. Over the years we have been lucky enough to enjoy sets from some of the best in the business, including Stewart Lee, Jo Brand, Nish Kumar, Dara Ó Briain, Sarah Millican and many more. In 2017, Stand Up 4 Refugees was at Birmingham Rep on May 31 and will feature Brummies Joe Lycett, Mrs Barbara Nice and Jo Enright alongside Nish Kumar, Robin Ince and MC Tiernan Douieb. 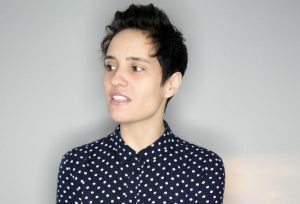 Jen Brister introduced the likes of Mark Steel, Shappi Khorsandi, Stephen Grant and Dara Ó Briain at the Brighton Dome. Other shows included a night at the Tobacco Factory in Bristol, and the beautiful Union Chapel in London. Many of the nights were organised by comedian Tiernan Douieb. It was a fantastic night for a fantastic cause, made more significant with the fact that this week is Refugee Week. The comedians applauded the audience for their commitment and energy. Most performers wore charity t-shirts, a constant reminder of the significance of the event.